1. The Church in Wales is fully and unequivocally committed to all orders of ministry being open equally to all, without reference to gender. It holds that all those whom it duly elects, canonically ordains and appoints to office are the true and lawful holders of the office which they occupy and thus deserve due respect and canonical obedience. 2. Anyone who ministers within the Church in Wales must be prepared to accept that the Church in Wales has reached a clear decision on the matter. 3.  Since the Church in Wales continues to share the historic episcopate with other Churches, including other Churches of the Anglican Communion, the Roman Catholic and the Orthodox Churches, which continue to ordain only men as priests or bishops, the Bench of Bishops acknowledges that this decision on ministry and gender is set within a broader process of discernment and reception within the Anglican Communion and the whole Church of God. 4. Within the Church in Wales, those who on grounds of theological conviction and conscience are unable to receive the sacramental ministry of women bishops or priests continue to be within the spectrum of teaching and tradition of the Anglican Communion. The Church in Wales therefore remains committed to enabling all its members to flourish within its life and structures as accepted and valued. Appropriate provision for them will be made in a way intended to maintain the highest possible degree of communion and contributes to mutual flourishing across the whole Church in Wales. 5. Since the Code of Practice needs to be both strong and flexible enough to respond to a changing situation in the future, and since the Governing Body has entrusted the Bench of Bishops with the task of agreeing a Code which commits the Bench to making provisions for all the members of the Church in Wales, the Bench reserves the right to amend the provisions of this Code as may be necessary in the future. 1. Should a woman become a diocesan Bishop in the Church in Wales, her jurisdiction as a diocesan bishop is recognised unreservedly and without qualification as set out in the Canons and Constitution of the Church in Wales for a diocesan bishop. 2. Individual members of the Church in Wales who, on grounds of conscience, are unable to receive the sacramental ministry of a woman diocesan bishop, shall not be required to do so against their conscience, and alternative provision shall be made. 3. A diocesan bishop shall make for such members within their dioceses all reasonable provision for appropriate sacramental episcopal ministry on such occasions as necessary upon submission of a request in writing from those individuals supported by their parish priest. 4. The bishops of the Church in Wales commit themselves to making themselves available to their colleagues to assist one another in facilitating any such provision. 5. No bishop shall be obliged to bring proceedings against any member of the Church in Wales on the grounds that such a member dissents in conscience from the provisions of the Canons enabling Women to be Ordained as Bishops or Priests.